Inbound Marketing: How does inbound marketing work? In short: Inbound Marketing works by first ensuring your business, brand and content is found and then - that it’s magnetic and generates leads. Using the inbound marketing methodology, websites have a growth-driven-design, meaning that the site is more dynamic, user-friendly, content driven and has lead capturing Call-To-Actions. This is the cornerstone of an ROI-driven Inbound Marketing strategy. Search engine optimised content is quintessential to all the content that fits within an Inbound Marketing campaign. In fact, SEO is not just a consideration or an afterthought you half-implement when you're done writing a blog - it should be integrated and considered throughout the content creation process in detail. CRM software/platforms encompass various aspects of an inbound marketers digital presence. From user-friendly, GDD websites to marketing automation which helps gain, track and qualify leads - implementing CRM can transform marketing efforts from being engagement-focussed to being leads/new business oriented. We’ve found that HubSpot works best for us in this regard because it’s very simple to operate and integrates well with social media and CRM for lead management & marketing automation - all while making SEO optimised blogging a breeze. Using a mix of research, we usually choose up to 3 personas to target. We define them and update them when necessary. 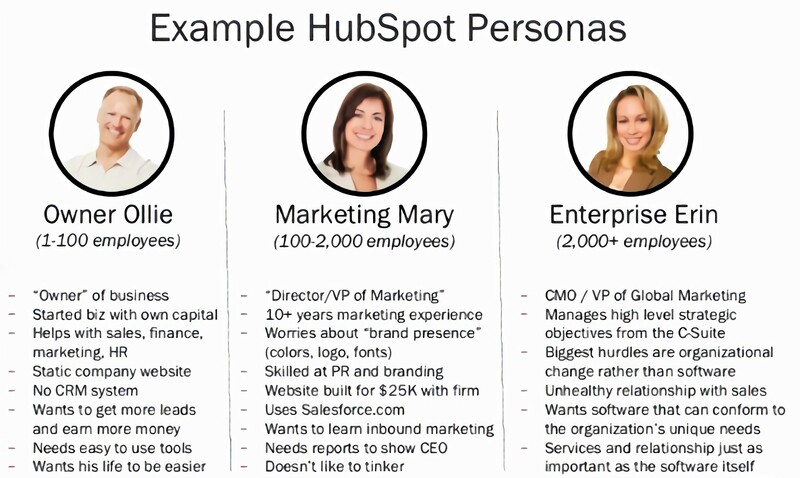 Contacts are also profiled and reached out to using CRM/marketing automation in accordance with these buyer personas. 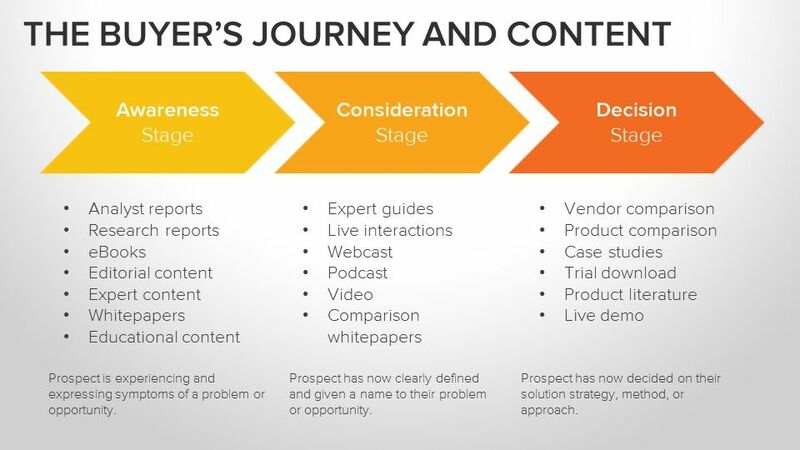 The buyer's journey is another important consideration because prospects respond to what you send them differently depending on how familiar they are with your brand. Inbound Marketing methodology says you attract interest by being an opinion leader who’s found online. And for that to happen - Inbound Marketers develop powerful content strategies. 1) Intelligent channel selection (social media platforms, emails, podcasts, video marketing ect). Choosing the social media platforms most suited to your brand is very important. Regarding Inbound Marketing campaigns, we’re finding LinkedIn gets incredible results for B2B because of the ability to go straight to the targets’ mail inboxes. And for B2C - a mix of platforms, mostly including Facebook. 2) Intelligent medium selection (Written, Video, Podcast ect.) can mean the difference between your content being forgotten within 10 minutes and downloaded, shared & enjoyed for months. We’ve found that professional video content is phenomenal for buyers in all 3 stages of the buyers’ journey. A robust inbound marketing strategy involves openly available content and gated content, which is only made available after a prospect fills out a form - giving you their contact details and more. Speaks directly to them in their own language. Adds value aside from the benefits of your services/products to ensure broader appeal. The whole point of investing in thought-leadership content is to see return on investment. ROI measured in relevant leads gained and of course, clients & customers. Blogs are usually prospects' main channel to accessing the landing pages hosting the deeper-dive, gated content assets. We generally use social media campaigns to link to the landing page. Because the landing pages have a built-in form that captures contact info, leads are captured and clever marketing automation takes over to qualify the leads for direct sales. So not only must the content asset itself (an infographic, white paper, checklist, interactive tool ect.) be genuinely helpful and engaging, your free content that came before needs to have built enough trust to convince your prospects that the content is useful and that their info is safe with you. Inbound Marketing is efficient. And its methodology combines perfectly with the use of marketing automation to qualify leads. This comes in the form of nurturing emails specially designed to not only greet the person by name, but also be customised/relative to the content asset he/she downloaded as well as their job junction (also a part of the form). 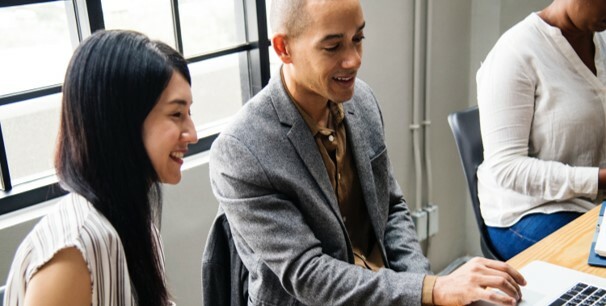 These nurturing emails offer more helpful content based on the contacts history with your brand so to qualify them - saving our sales team tons of time and letting them focus on the contacts that already have a relationship with the brand. Everything is tracked and sales knows the person a lot better upon first encounter. Again, for our clients, we generally opt for HubSpot because it's so simple and effective. There are however many CRMs that offer these sorts of features. Climb into the heads of your target market and immerse yourself in their daily life to understand their pain points. And if you don’t know, do more research. Or just ask them. Once you understand their pain points, you’re equipped to craft content strategies designed to appeal to them. It’s really important to to keep abreast with trends in your industry so that you can produce content about them as they’re playing out. Trends should be latched on to for increased website traffic through your blog. A big component of customer delight is being available and responsive whenever they reach out. Whether the issue is big or small, show your customers that you're prioritizing them by responding quickly. Even if you can't solve the issue right away, let them know that you're working on it. Never interrupting the target market. Rather - meet them where they are and make sure your brand appears just as they’re looking for a solution you offer. 4) Help customers achieve their goals. Always be mindful of your customers ambitions. Keep an open mind about various solutions and split-test where possible. Communicate in a 'language' they understand and resonate with. Do whatever it takes to give them the best value for money. Your customers/clients know what they want, so read the lines before you read between them. Respond intelligently & transparently. Have fun with it! Business is so much more enjoyable for everyone when you’re enthusiastic about your work and results you achieve, so do what you’ve got to do to remain positive and excited! If you enjoyed this piece and would like a deeper understanding of Inbound Marketing along with practical examples to help you apply it to your own brand, we highly recommend downloading our free Beginners Guide to Inbound.